This entry was posted on December 9, 2011 at 4:24 pm	and is filed under Top Tens. You can follow any responses to this entry through the RSS 2.0 feed. You can leave a response, or trackback from your own site. The Doctor’s regenerations are on a loop. The thirteenth Doctor will regenerate into the first! Hmmm, i wouldn’t say the 9th Doctor is that far detached from the 4th. They both have a quite a temper on them when they need it and they both have the same moody demeanor, especially the 4th Doctor in season 18. As for the War Chief, of course he’s the Master and i’ll always believe it. I fully subscribe to the way the 8th regenerated into the 9th and to the idea that the second heart grows at the first regeneration. As for the season 6B, it is just something more than fandom: it is endorsed even by the BBC on the official Doctor Who website. There you can find a much better reason why the series 6B is necessary for continuity: (1) how could Jamie know of the Time Lords when Jamie didn’t even know of the Time Lords until “The War Games”? ; and (2) the Second Doctor was figuring out how to stay as hidden as possible from the Time Lords, yet we find him working for them!!! I don’t think it is necessary to admit the Doctor’s mother was human. 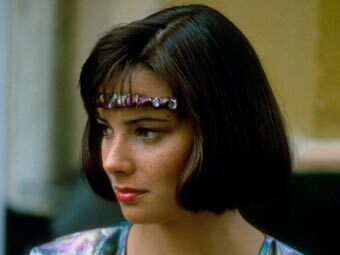 She may as well have been a Time Lady turned into a human by the aid of a Chameleon Arch, more then sufficient to give a little bit of human traits to the Doctor. And we have witness by River Song that even half-timelords can regenerate though she didn’t grow a second heart. As for the Morbius episode, some tie-in materials explain that the FIRST Doctor may have been a reincarnation of somebody else (namely, the Other). This is a third way to explain out this continuity issue, though I don’t consider the Virgin New Adventures to be canonical in any way. Possibly Morbius was completely mad? If Season 6B is true(and the above-mentioned serial would make it seem that it IS), this poses on obvious question…how could the Doctor be in his Season 6B travels and exiled on earth working for UNIT at the same time? Wouldn’t the Time Lords be able to know that he wasn’t exiled when he should be(he is visited by Time Lords early during his exile). Why are the Doctor’s memories full of goles, and often at odds with what we saw?Why wouldn’t Pertwee’s character have already known what was going to happen in the Three Doctors if he’s lived through it as Troughton’s Doctor? Actually, that’s more than one question! So here goes…the Doctor is Hartnell, then Troughton. At the end of the War games he is to be exiled to Earth with his appearance changed. However, at the same time certain missions must be undertaken(eg. The Two doctors again). 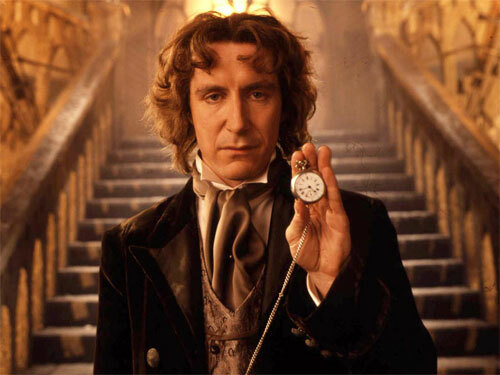 In order to achieve this, the Time Lords wipe the memory of another Time lord, alter his appearance, brainwash him to think he’s The Doctor, and exile him to Earth. Meanwhile, the REAL Doctor is continuing on as a secret agent for the Time Lords. This also explains many seeming continuity errors in Three Doctors and Five Doctors(as well as many other comments and continuity errors!). The fake Doctor regenerates into his 12th incarnation(Tom Baker). In The Brain Of Morbius, Morbius drives Tom Baker back through, Pertwee, then two fake memories, then back through his real eight earlier incarnations. 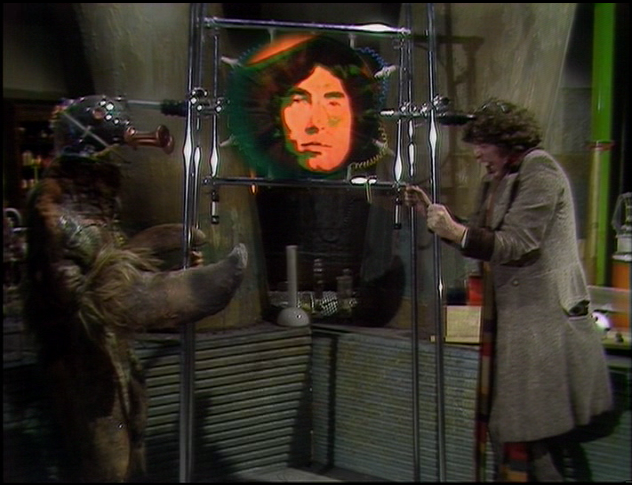 Morbius thinks he has won the mental duel, but Tom Baker’s REAL first two incarnations remain unseen. 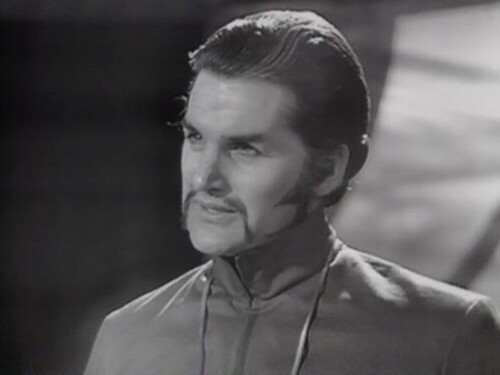 All the while The Doctor is continuing on in his second incarnation in other adventures, under the cover of secrecy. 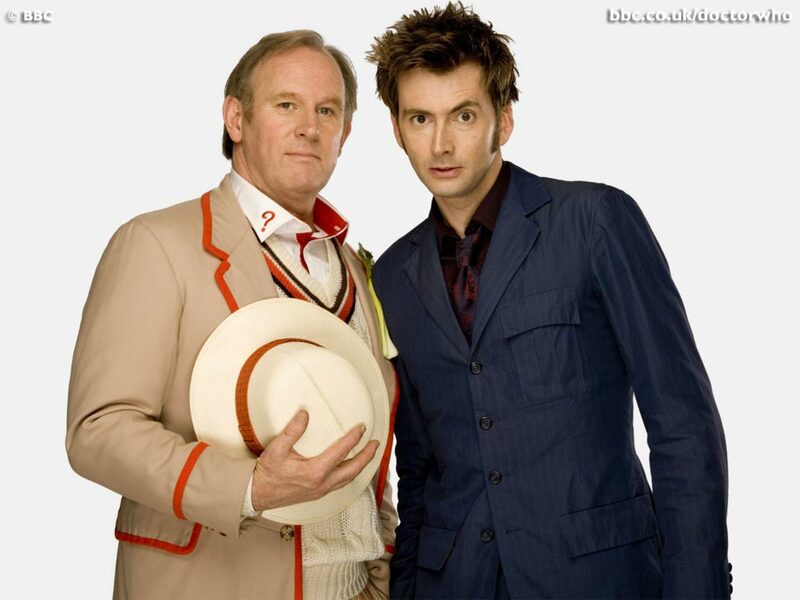 Believing he is THE Doctor, The peter Davison incarnation expects to still have eight incarnations left. When he dies however, he realises that something is definitely wrong. 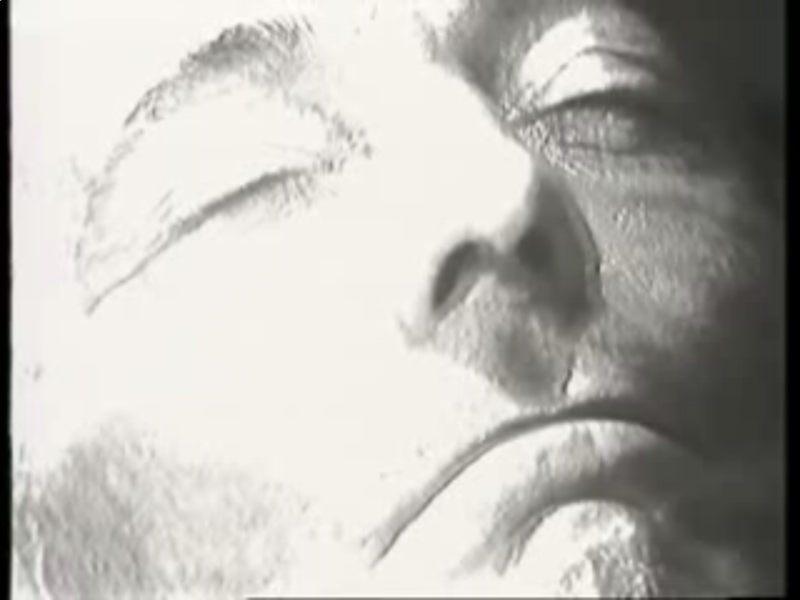 “It feels different this time…..is this death?” And then he dies. Meanwhile the REAL Doctor is teleported in, and is clearly bewildered, and paranoid. And who could blame him? 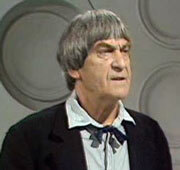 Thus THE Doctor goes….Hartnelll…Troughton…. (possible other incarnation or incarnations)….C. Baker…Mccoy etc. There’s also the “Shalka Doctor is the Valeyard” one. Basically, the Valeyard is dark side of the Doctor between his twelfth and thirteenth incarnations. The Valeyard escapes the Matrix at the end of The Ultimate Foe and then,,,? What happened to him? 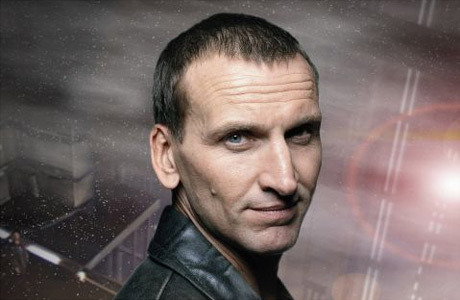 We know both from Trial of a Time lord and He Jests At Scars that the Valeyard that the Valeyard is not evil per se, just a darker version of the Doctor himself, who thinks he could do a better job, In Scream of the Shalka he doesn’t say he’s the Ninth Doctor. He says that he’s “used up his nine lives”, the cat metaphor for at the end of his lives. Interesting that the Sixth Doctor had the cat motif. And he’s the one the Valeyard tried to get the lives from. Since the Valeyard is between the twelfth and thirteenth incarnations, he could easily regenerate, but only once, into a darker moodier Doctor, but one who still has the Doctor’s basic ideas of fighting what he perceives to be evil. The Time Lord responsible for foiling the Valeyard’s scheme was the Master. So what better way to get perceived revenge than having an android programmed with the Master’s memory/identity(got from the Matrix) trapped inside the Valeyard’s TARDIS, unable to leave and a permanent servant to the Doctor? At some point the Jayston Valeyard regenerates into his second(and final) incarnation Richard E. Grant’s ‘Doctor’. Did he survive the Time War? Possibly. Just like in Stargate where there are two stargates on the same world and you can’t dial one from the other, so the Doctor wouldn’t sense ANOTHER Time Lord, because in a sense it’s him himself. It would be great if in the 50th anniversary year, an episode could start with the TARDIS landing, the Shalka Doctor getting out, and the adventure continuing, until the reveal that it’s the Valeyard.